The 11-year old St. Charles All-Stars won the championship game for their division. 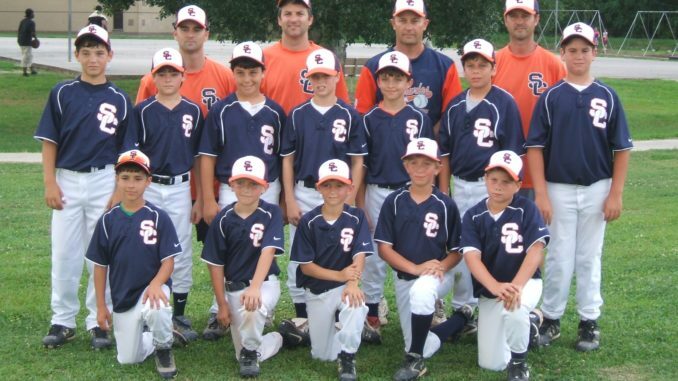 Pictured are (l to r) bottom row – Tyler Munster, Seth Hymel, Patrick Phelan, Miles Patureau, Peyton Dufrene. Middle row – John Browm, Brandon Wild, Jonathan Scarpero, Nathan Pilutti, Jonathan Oubre, Brandon Vidrine and Kyle Weems. Cocahes – Assistant coach Franki Edwards, Assistant coach Brian Oubre, managaer Frank Edwards, Assistant coach Pat Phelan.